Based on 128 customer ratings. 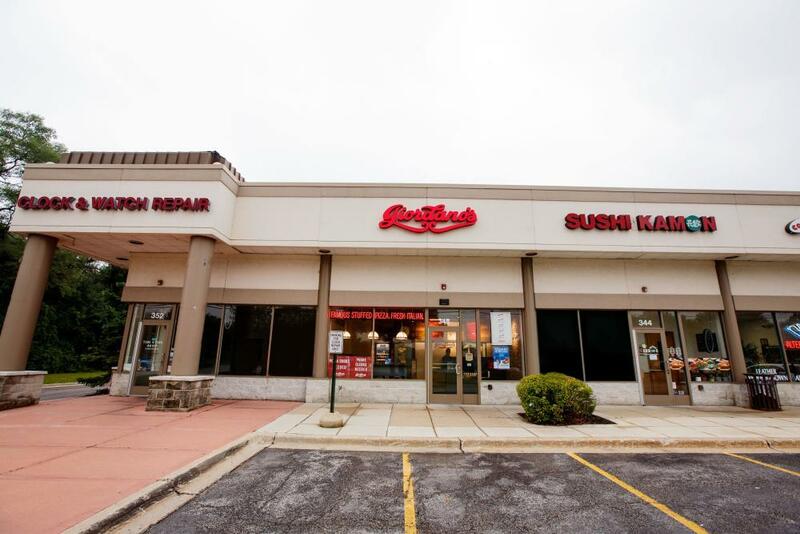 Our Vernon Hills, IL Location You don’t have to drive to Chicago to pick up the best deep dish pizza. Order online for pickup or delivery right in Vernon Hills instead! We hope our Giordano's location in Vernon Hills, IL, has become a part of the community you value and appreciate. Our deep dish pizza isn't the only thing we love about Vernon Hills, IL. Vernon Hills is a northern suburb of Chicago, IL. In 1851, three men purchased the land that would later become Vernon Hills. The area remained relatively unchanged until the 1950s when a portion of it was purchased to become a residential community and golf course. It started out at about 125 homes, which were not part of any already incorporated town, and the village of Vernon Hills was incorporated on July 16, 1958. During the first two decades, the village grew from a few hundred residents to more than 5600 people by annexing surrounding land. Today, more than 25,000 people call Vernon Hills home. Deerpath Park: This park is the ultimate recreation destination for your family. Do you love staying active together? You won't run out of things to do — you can play lacrosse, volleyball, basketball, tennis, baseball or softball and even go to a batting cage. There are also playgrounds for your little ones who may not be big enough to play these sports. After a long afternoon of physical activity, you can cook using one of the grills and eat at a gazebo. After all that, you can still go fishing at one of its three lakes. Whirlyball: Bring out the whole family for this unique competitive activity. Whirlyball has been described as a mix of lacrosse and bumper cars. Independence Grove Forest Preserve: There are tons of activities to do year-round at this 1150-acre preserve. Have a picnic or go hiking in the warm weather and even sign your kids up for summer camps. Play volleyball or relax while the kids play on the playground. There are water activities like boating, swimming, fishing, canoeing and kayaking. You can even let the family dog romp around in the dog park. When winter hits, bring the family out for cross-country skiing or ice fishing. Vernon Hills offers excellent eats in a variety of styles. If you've got a hankering for pizza, be sure to stop by Giordano's for the best deep dish pizza in Vernon Hills, IL! The Best Deep Dish Pizza in Vernon Hills You know Giordano’s is the best pizza place in Chicago. Wouldn’t it be great if you could get the best Chicago-style pizza here at home? You can! You’ll love Giordano’s in Vernon Hills, where our artisans construct our famous stuffed and flaky pizzas every day. Don’t settle for so-so pizza made with so-so technique. Come to Giordano’s instead, the best pizza delivery and restaurant in town! Everybody Loves Giordano’s Giordano’s is famous in the Windy City because our pizza place is more than a restaurant — it’s tradition Chicagoans have cherished for over 40 years. It takes six Giordano’s artisans to build each pie we make, pizzas we build with layer after layer of flavorful, fresh toppings. You’ll also love our famously flaky crust, which we slow-bake for 35 minutes so it achieves its delicious, pie-like taste. Just because we’re famous for our double crust pizza doesn’t mean you shouldn’t sample our full menu! We have excellent pastas, hearty specialty sandwiches, fresh and crisp salads, and savory appetizers. Don’t forget to ask about our gluten-free options, too!